In 2013, there were 198 million cases of malaria and over 500,000 deaths. Malaria is prevalent throughout the world in tropical and subtropical countries, particularly Africa and South America. And while the disease can be fully treated if caught early enough, there are actually several preventative measures travelers can take to prevent Malaria in the first place. Check out our FAQs below to find out more. Malaria is a disease caused by parasites. While there are multiple types of this parasite, the most common is the plasmodium falciparum. Humans contract the disease after a bite from an infected mosquito. The disease starts by infecting your liver and slowly attacks your red blood cells. While there is a small risk of contracting the disease anywhere, you are at a higher risk if you travel to countries known to be at risk with malaria. Young children, pregnant women, and those with HIV/AIDS are also at an increased risk. If I become infected, how soon will I experience symptoms? Symptoms typically occur in the first two to four weeks after infection. However, it’s important to remember that you can experience symptoms up to one year later. Most cases diagnosed in the United States are from those who have recently traveled out of the country. No, this disease cannot be spread person to person. As this disease affects your red blood cells, there is a chance you can become infected from a blood transfusion or the sharing of a syringe. The earlier a case is diagnosed, the better. Malaria is diagnosed with a blood test. Treatment differs depending on the symptoms a person has and which parasite has infected their body. Typically, malaria is treated with a combination of medications. The type of medication received and the length of time one is in the hospital is evaluated on a case by case basis. After receiving successful treatment, people typically begin to feel better in ten to twenty days. It can be, but with proper treatment most individuals recover if the disease is caught early. Those diagnosed with severe malaria often experience serious symptoms such as anemia, organ failure, and respiratory distress. Untreated malaria can also cause death. What steps can I take to prevent the disease? Be prepared! Research the countries you are visiting to find out the risk for malaria in each destination. 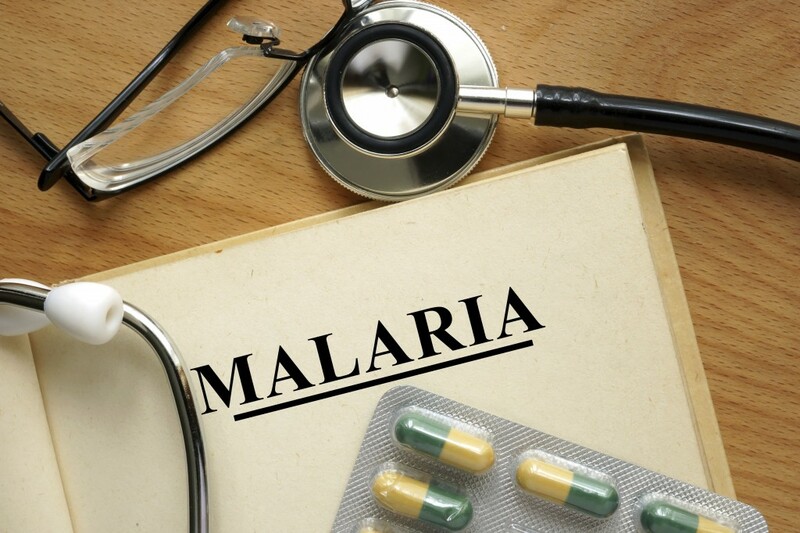 If you are traveling to a destination where malaria is prevalent, visit your doctor or travel medicine specialist four to six weeks before you depart to determine which medication is best for you. There are several antimalarial drugs available. Some medications take weeks to become effective, but there are also options for those traveling last minute. Additionally, travelers should take extra precautions to prevent mosquito bites when traveling. Wear repellent at all times and use mosquito nets when sleeping. Will I experience any side effects from the antimalarial medication? There is always a risk of side effects with any medication. Side effects such as nausea, vomiting or diarrhea are common when taking antimalarial medications. Discuss possible side effects with a medical professional prior to travel. What should I do if I contract malaria while traveling? If you begin to experience any symptoms of malaria while traveling, it’s important to seek medical care as soon as possible. On Call members have access to worldwide medical referrals and our nurse helpline 24 hours a day, 365 days a year.